This Cream Ale/Standard Lager is a crisp, clean tasting beer. It has slightly less malt flavour than our Blonde Ale/Premium Lager as it uses less grainy tasting Domestic 2-row instead of Pilsner malt. Our recipe also uses 10% regular table sugar to achieve an extremely crisp and dry taste (low attenuation). Table sugar is 100% fermentable so it adds alcohol with very little taste. Other adjuncts such as flaked corn and rice can be used instead if desired. Rice has a very clean/neutral flavour while corn tends to provide a slight corn-like taste. The choice of North American malt and hops makes this an American style. Brewing with lager yeast instead of ale yeast provides a cleaner tasting beer with a touch less fruitiness and yeast derived character. If brewing as a lager, patience is required as lagers will also take about twice as long to ferment as it takes place at lower temperature, and then require lagering (held at near freezing) for a month or more after fermentation is complete to mellow and smooth out. Most people will find the Cream Ale is therefore decidedly easier to brew as it does not require special fermentation equipment to maintain a lower temperature and the whole process takes less time. I first brewed this on September 25, 2012. 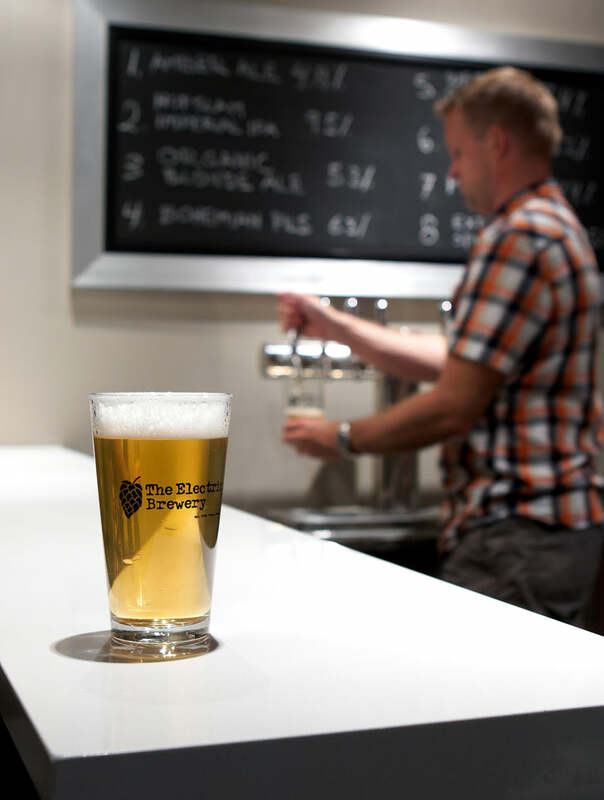 For a slightly maltier beer, consider our Blonde Ale / Premium Lager recipe instead. 1.5 qt/lb mash thickness. Single infusion mash at 148F for 90 mins. Mashout to 168F. 60-90 min fly sparge with ~5.6-5.8 pH water (measured at mash temperature). Collect 13.9 gallons in the boil kettle. Boil for 60 minutes. Lid on at flameout, start chilling immediately. Cool wort to 66F and aerate well. Ferment at 66-68F until complete. You'll need to use 4 packs/vials or make an appropriate starter. For more information see Chapter 6 of How to Brew and Appendix A of Brewing Classic Styles. Also see the stirplate/starter equipment I use. If you have the means to ferment at lower temperatures, consider making a Standard Lager instead of a Cream Ale. To do this replace the ale yeast with twice as much lager yeast and ferment at a colder 53F temperature. Once at approximately 2-5 points from final gravity, raise the temperature to 65F keep it there for 2-4 days to reduce diacetyl (a buttery flavour produced by some yeasts). The lager version will greatly improve if kept near freezing for 1-2 months before serving. I like to do this in the keg (after packaging). The Standard Lager will be very similar but will not have the slightly fruity/estery notes typical of most ales. Lagers tend to be cleaner tasting with less yeast-derived character. Curious about the differences? Split the batch of beer and ferment half as a lager at 53F, and half as an ale at 68F. Link Posted: Sat Aug 08, 2015 3:31 pm Post subject: small typo? Most people will find the Cream Ale is therefore decidedly easier to brew as it does not require special fermentation equipment to main a lower temperature and the whole process takes less time. TU for the nice web site. You are in the top 1% of brewers (hobby) out there! Fixed - Thanks for pointing that out! I wanted to let you know I brewed this over the weekend on my Kal clone I built. Every time I use my Electric Brewery I get nothing but excellent results. 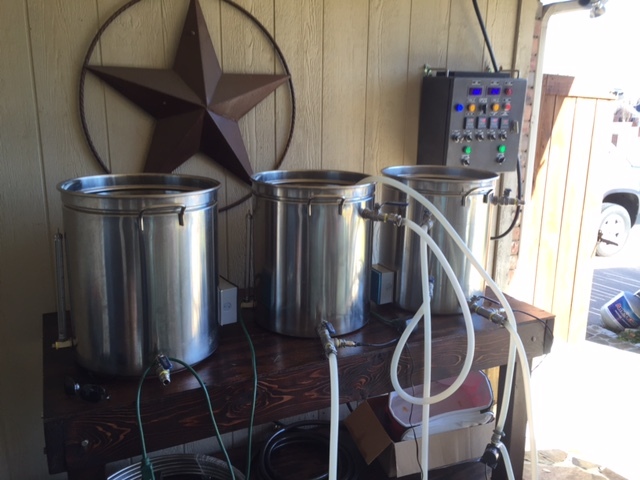 Here is my system mashing the Cream Ale. I can't wait until it's ready to drink. Thanks for posting! Should be a nice light/easy drinking beer. Lager it for a while after it's done and it'll be great in the summer! Any ideas of how to makes this a light American lager. My father in law only drinks light American lagers (coors light/bud light). It's not something I really want to make but since he helped me build my brewery, how can I say no. Do you think I can keep the percentages of the grain bill as is and dial down the malt bill until it gives me an OG of 1.032-1.038? Jamil has a recipe in his book for a light lager that uses 2 row and flaked rice that I might scale to my setup. I don't want to tie up my chest freezer for months so I will attempt the fast lagering process that was in the latest BYO magazine. Any ideas of how to makes this a light American lager. My father in law only drinks light American lagers (coors light/bud light). It's not something I really want to make but since he helped me build my brewery, how can I say no. Do you think I can keep the percentages of the grain bill as is and dial down the malt bill until it gives me an OG of 1.032-1.038? About 10 IBU using a clean bittering hop at 60 mins only. CO2 extracted hop oil works really well as it's super clean tasting. Same lager yeasts as above, chill to 48F, pitch a lot of yeast like recommended above, ferment at 50F. Chill to 32F and condition for a good month. Do I add the gelatin at the end of the lager process or at time of racking over to secondary (to lager)? If I read it correctly above it said to add and let it clear for 2-3 days. Also, is it required, or just recommended to have a more clear beer. I would think after lagering for a month or two it should be pretty clear on it own. I think it really depends on what's easiest: If you lager on the yeast in a vessel that's sealed up before you end up kegging, you probably don't need any gelatin at all since the beer will drop very clear over the month or two you lager it before kegging/bottling. 1. Ferment until complete plus a few days (in the primary) at fermentation temp. 2. Rack to a 5 gallon glass carboy that's been purged with CO2, add gelatin. I leave this at room temp, though I suppose you could keep it at fermentation temp too. 3. After ~2-3 days the beer has dropped brilliantly clear. I rack to 5 gallon kegs that have been purged with CO2 and put them in my conditioning fridge at ~32F on CO2 to carb up and lager/condition at the same time. Ideally you probably don't want the beer to warm up like what I do in step 2, but I've never really noticed any differences in the results having the beer at room temp for 2-3 days before kegging (after it's been lagered near freezing for 1-3 months). One more question. Is there any value in slowly dropping the lager temp each day to get to the 32F? I've read people dropping it around 5 degrees a day. Some may drop slowly if they still need the yeast to be cleaning up the beer after primary or because they want the yeast to still be active a bit during lagering (going too fast may shock it and make it go into hibernation). Some would do a diacytl rest at elevated temps at the end of primary for a few days too and then cold crash. Since I move this sort of beer to a secondary and use gelatin before kegging/lagering, I'm off the yeast so I cold crash to 32F as fast as I can (I just put the kegs in the conditioning fridge). Try it different ways and see what you prefer! This is just my first Lager and don't want to mess it up. I've brewed ales since 2008 but never done a lager until now. Mainly because I don't really like lagers. Prefer Ales, but my friends like lagers. So, I'm making a lager...lol. Thanks for the help. I'm not a big light lager drinker myself, but always keep a lighter one on tap for some of my friends.